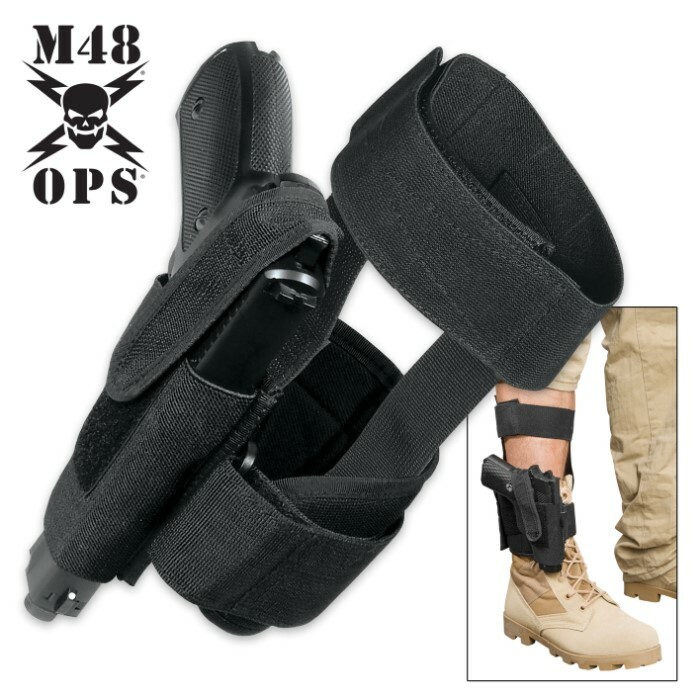 M48 OPS Concealed Ankle Holster - Black | BUDK.com - Knives & Swords At The Lowest Prices! 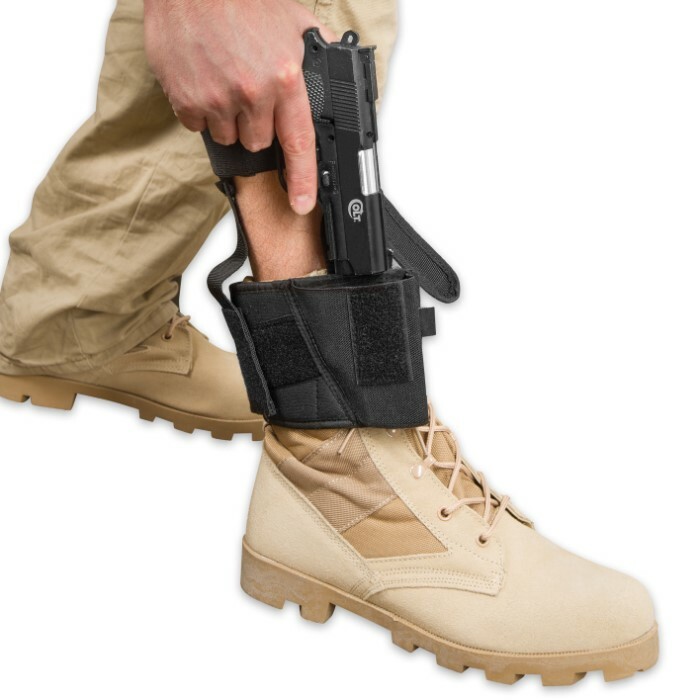 The M48 OPS Concealed Ankle Holster lets you transport any compact or subcompact pistol discreetly strapped to your calf and ankle, and best of all, it won't cost you an arm and a "leg!" Durable, comfortable and shrewdly designed, it's great for countless concealed carry applications - self defense, tactical, everyday transport and more. It's made of heavy duty polyester, enhanced with elastic fibers for flexibility and a snug fit. A classic "barrel" design, it features a calf strap and ankle strap connected by two vertical straps. 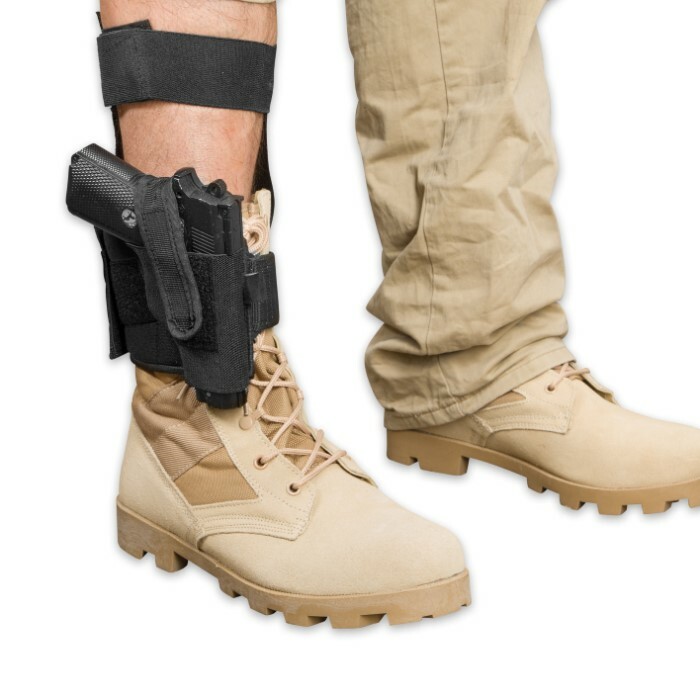 Both leg straps are adjustable and padded for comfort, secured by Velcro-type hook-and-loop closures. A third Velcro strap wraps over the gun, keeping it safely anchored and preventing it from accidentally slipping out of the holster.